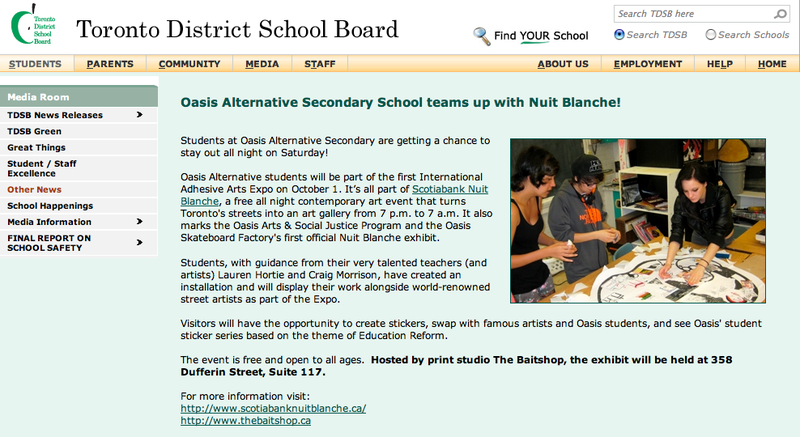 OSF on the TDSB's web splash page today: "Oasis Alternative Secondary School teams up with Nuit Blanche"
Sat. 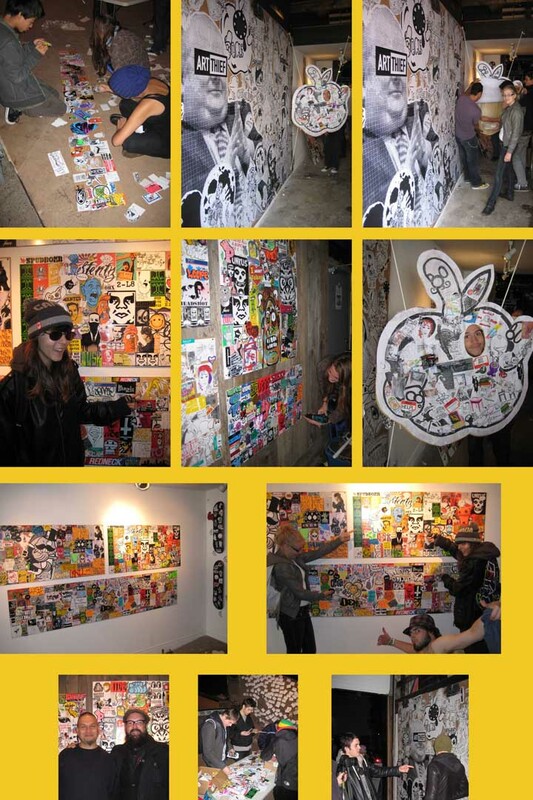 Oct 1st marks the 6th annual Nuit Blanche, a free all night contemporary art event that turns Toronto's streets into an art gallery from 7pm to 7am. 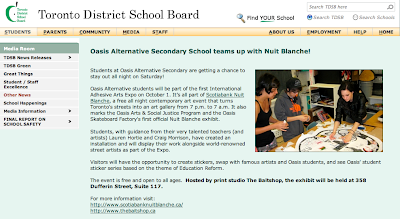 It also marks Oasis Alternative's Arts & Social Justice Program and Oasis Skateboard Factory's first exhibit as an offical Nuit Blanche event. 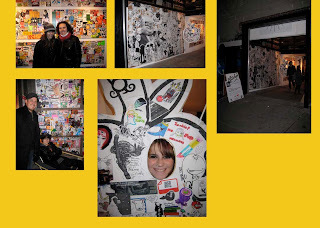 Students will be creating an installation and displaying their work alongside world renowned street artists as part of the International Adhesive Arts Expo. Visitors will have the opporunity to create stickers, swap with famous artists and Oasis students and see Oasis student sticker series based on the theme of education reform. The event is free and open to all ages, hosted by print studio The Baitshop, 358 Dufferin St, Suite 117. 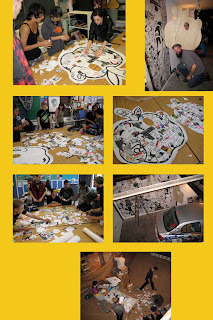 OSF Leadership Students received a standing ovation after presenting an Artist Talk with Craig at Hart House, (U of T)! Ryan Rubin of Longboard Living helps launch our "Spread the Stoke" Intensive with a talk about being a young entrepreneur. Roarockit hosts a pizza lunch and inspires a new crew of OSF board-builders by demonstrating their invention of "Thin Air Press Technology"! The OSF welcomes our New & Returning Students: Year 3 of our exciting, expanded Oasis Skateboard Factory program starts September 6! Follow the "Student Calendar Link" to see the first week schedule and important dates.